This episode pretty much wrapped up all hanging story lines, so that in the finale they can upturn everything on us. For about a minute everyone was happy. Emma finally forgave her parents and realized how important they are to her. Maleficent met Lily and they are going to try to get to know each other and build a relationship. And Regina finally figured out that the only one standing in the way of her happy ending is herself. Rumple is just about the only one who ended this episode more miserable then he started it. And of course this means he is going to destroy everything for everyone else. This episode mainly revolved around Regina. The group returns to Storybrooke from New York. Regina is devastated by the news from Zelena and she can’t see a way to work around it. Robin tries to tell her they can find a way to live happy together but Regina can’t see what he sees. When they return she locks Zelena away. Regina then goes looking for the author in order to erase Zelena’s existence from their lives. She is intent on removing yet another obstacle to her happy ending. What Regina learned in this episode is a lesson everyone can take away . Your happiness and thus your happy ending is in your hands and your hands alone. The path to true happiness is full of twists, turns and dead ends. The path is never going to be easy, simple and smooth. If it was, how would you ever be able to appreciate what you have? If you don’t work and struggle for what makes you happy you are going to take it all for granted. We savor the good we have because we know what it took to get to that point. If Regina changed the story so she never had to go through all her issues then she would never be able to fully appreciate what she has and could easily lose it. Regina has had to struggle more than most people. But all the obstacles have gotten her to this point in her life. If Regina continued to blame the universe and think she needed a new story in order to be happy she would never get to that ending. Even the most perfect, “happy ending,” has its dark moments and struggles. That is just life, even in a fairytale. I love Regina’s character because she is so strong. In the flashback portion of the episode we saw her mother, Cora, trying to set her up with the Sheriff of Nottingham. Her motives seem to be for Regina to get pregnant. She says it is to see Regina happy but it is unclear how true any of that is. For a moment Regina buys that the Sheriff is supposed to be her soulmate. But then he tells her that he will be the strong one so she can be weak. Instantly Regina knows that something is wrong with the situation. She doesn’t stand there and wonder if he has a point. She doesn’t try to make herself okay with what he said in order to keep him as her soulmate. She fights back and tells him off and ultimately puts him in her dungeon. When her mother questions her she tells her that she knew it wasn’t true because that is not how a soulmate would act. Her soulmate would never tell her to become someone she isn’t. That person would never tell her to be a weaker person then they are. Never tell her that because she is a woman she can’t be strong. She knows what it means to have someone truly love you. They accept you as you are and compliment you as a person not try to change who you are. Zelena quips about how of course Regina found her happy ending now that she has a man. Bur Regina quickly steps on that accusation. She tells Zelena that Robin is not her happy ending alone, he is only part of it. Her happy ending is learning to feel at home in her world and with who she is as a person; trusting herself, and knowing that she has come so far and changed so much from the person she once was. Regina finally sees that her happy ending has been around her this whole time. She has Robin who loves and accepts her. She has Henry who does the same. She has friends in Emma, Charming and Snow who have looked past the past and see who she truly is now. And most importantly she loves herself. Whereas Regina finally sees that her happy ending is in her hands not the author’s, Rumple cannot see or understand that idea. Rumple did not get any type of happy ending in this episode. Rumple said before that once his heart is completely consumed by darkness his ability to love will be gone forever. The Dark One will take over and Rumpelstiltskin as we know him will be dead. There will be nothing left but evil, hate and darkness. Rumple has done a lot of bad through out his life, which is why he is in this situation to start with. Yet for all that he has done he is not welcoming this change with open arms. With the last bit of humanity left in him he is trying to find a way to save himself. Rumple doesn’t want to be a purely evil man but he knows that he can’t save himself in this life and story. He is too far down a dark path to be able to do enough good to save his heart. The only solution he sees is the change his story completely. Rumple could just change his story. Instead he gives the author a new storybook called “Heroes and Villains,” and tells him it is time the villains win. He doesn’t just change his story but everyones. Though at this point it is interesting to note that Rumple is the only one who truly still sees himself as a villain. (Zelena may see herself that way as well). Maleficent has her daughter and no longer cares about revenge or hurting anyone. Regina gave up the role of villain ages ago. Rumple views himself as a villain and that is influencing his decisions. It all comes down how they see themselves and that is influencing the choices and decisions that are being made. “We can be happy in the future or angry in the past,”- Maleficent – She realizes that holding onto grudges and pain makes being happy nearly impossible. You have to let the past be the past and stay where it belongs. “The only one standing in the way of your happiness is you?”- Cora – Words the every character should always remember in this story, especially Rumple. Now that there is a new story book how will everything change? Are we going to have an alternate storyline type deal? What does Rumple truly want out of his life? 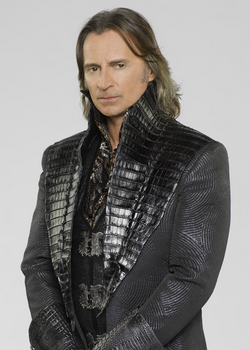 In the new story will Rumple still be the dark one with that power? Could he ever give up that much power? Are we ever going to see Maleficent and Lily again? Is Emma now safe from turning dark or is that always going to be a possibility for her life? Can Regina reverse the potion she took so she can get pregnant if she wanted to? What will the alternate universe idea do to Henry? Will he just cease to exist? Posted on May 4, 2015, in Once Upon a Time, Tv Shows and tagged Dark One, Happy endings, Once Upon a time, Regina, review, Rumple, television series, tv show review. Bookmark the permalink. 4 Comments. Agreed this episode really solidified my love for Regina. I think for me it’s because she does have so many flaws yet she owns up to them and really tries to do better. And this episode she finally sees that she has everything she wants and needs to be happy and she is ready to accept this life and live it to the fullest. This episode made me love regina more. I’ve always liked her, flaws and all, but this episode kind of like opened something about her. Also curious about the Nurse as Andrew pointed out. There’s something about her. And I am also curious about that nurse. My mom and I noticed that she seemed a little irritated when we saw her this episode. Wonder if we will ever get more about her or not. Lots of good observations and interpretations. One thing I haven’t seen many people notice is the foreshadowed corner Maleficent’s character is entering. Both she and adult Lily are pretty popular actresses involved in other series, so they probably won’t be becoming main characters. And Maleficent very specifically said (in a way that seemed forced into the conversation) what would happen to her if she left Storybrooke (turning back to ash.) I’m interested to see where the season finale takes the two of them! And as for unanswered questions, I’m still curious who the Fairy Tale counterpart to the Nurse that works in that psychiatric basement is that they keep bringing back.